← GOD wants me to SUFFER?!? Imagine coming out of the entrance of a grocery store. Imagine that you have 3 kids to feed and are very broke. You literally had to put things back in the checkout line because you couldn’t afford everything you had picked up. It was embarrassing. As you exit the store, you look down and see a $100 dollar bill on the ground. No one is around it. No one is even close. It is obvious that someone going in or coming out before you dropped it. What is your first instinct? Your first thought? Your first action? How about when someone hurts your feelings, what is your first “impulse” – your first “inclination” – your first “yetzer”? You know what I’m talking about: the part Adonai sees even if no one else does – the part Adonai judges – your heart – your intent. So what in your inclination? Which one do you choose concerning the money on the ground? When someone hurts your feelings? Many of us know the “Bible School Answers.” However, answers are not always congruent with actions, are they? In many instances it is easier to say than to do . . .
were always of evil only. nor will I ever again destroy all living things, as I have done. In contrast, Yetzer Tov (Good Inclination) is a wonderful thing – even if it is just one man . . .
8 But Noach found grace in the sight of Adonai. 9 Here is the history of Noach. Walking with God wholeheartedly as a man righteous . . . it can literally save the world!!! Now comes the tricky part . . .
What about if someone hurts your physically? Lex talionis. [L.] The law of retaliation. Noah Porter, ed., Webster’s 1913 Unabridged English Dictionary, (Springfield, Mass. : G. C. Merriam Co., 1913), WORDsearch CROSS e-book, Under: “Lex talionis”. Leviticus 24:20 (CJB) 20 break for break, eye for eye, tooth for tooth — whatever injury he has caused the other person is to be rendered to him in return. Deuteronomy 19:21 (CJB) 21 Show no pity: life for life, eye for eye, tooth for tooth, hand for hand, foot for foot. Is God commanding us to take revenge? To retaliate? In our own judicial system, some people may see death row as nothing more than a way of exacting revenge on those that have harmed us. Other people may feel that death row limits the murders that would happen because there are consequences for taking another’s life. It all depends on your perspective. How does Yeshua (Jesus) view it? 39 But I tell you not to stand up against someone who does you wrong. Is Yeshua (Jesus) telling us to be a doormat? It would appear that we have a difficult problem. Is God being passive aggressive? Strike – Don’t Strike? 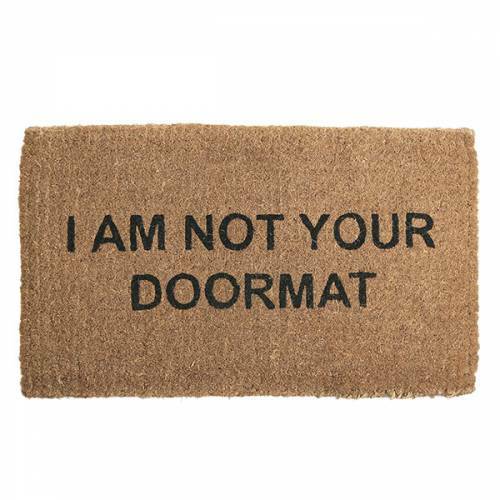 Don’t be a doormat or be a doormat? 30 Let him offer his cheek to the one who strikes it, and receive his fill of insults. So, what is the correct response to someone striking us? Before we can answer this, we must first understand that the text clearly does NOT say in the “tooth for tooth” verses to take revenge. You take your grievance before the ruling body. You get a judgment, you don’t get to BE the judge . . . or the executioner for that matter! both Jewish and Roman law permitted prosecution for this offense. Craig S. Keener, The IVP Bible Background Commentary – New Testament, (Downers Grove, IL: InterVarsity Press, 1993), WORDsearch CROSS e-book, Under: “Matthew 5:38-42 Nonresistance”. If we understand that tooth for tooth was not about revenge and that a strike to the cheek was a serious insult that could be prosecuted, we can understand that Yeshua the Rabbi is teaching . . .
Chﬁmāh is most often used in the context of Yahweh’s indignant anger, focused upon the human agents who have ignored, abused or wronged Him. . .
Chﬁmāh is also used of human anger, focused against other humans. In the human world, even righteous indignation is not a just cause for wrath. In wisdom literature, anger is universally denounced. — it leads to evil. as an anger-filled person can only stir up strife and transgression (Prov. 15:18; 22:29). but patient people quiet quarrels. Thoralf Gilbrant, ed., “2635,” in The Complete Biblical Library Hebrew-English Dictionary – Heth-Yodh, (Springfield, IL: World Library Press, Inc., 1998), WORDsearch CROSS e-book, Under: “2635”. Yeshua is telling us to follow our good inclination and turn the other cheek because if don’t and we let our anger or revenge take control of us – DANGER it is literally poison to us! ANGER LEADS TO EVIL . . .
being quick-tempered makes folly still worse. and one who is wise will appease it. he meets anger and ridicule without relief. so pressing out anger produces strife. In other words, Yeshua is NOT teaching us to be doormats – He is teaching us how to avoid our evil inclination – our Yetzer Ra. He is teaching us how to avoid anger and wanting revenge. He is teaching us these things because we will be judged for every careless word we utter. We will be judged by the works we do (both good and bad). Our INTENT (inner motive) behind our actions will be judged. For the believer, this is NOT about being a doormat, this is about lines we should be terrified to cross or even get near. If we allow ourselves to be engulfed by anger or revenge, our hearts can harden and we may never be able to let go of it. As a result, we may end up hating our brother or him hating us . . . if we hate our brother which we have seen, how can we love God whom we have not seen? To put ourselves in a situation where we may end up angry or seeking revenge would be similar to playing spiritual Russian roulette. Yeshua is warning us to not even pick up the gun. 44 But I tell you, love your enemies! 45 Then you will become children of your Father in heaven. and he sends rain to the righteous and the unrighteous alike. 46 What reward do you get if you love only those who love you? because we keep loving the brothers. The person who fails to keep on loving is still under the power of death. 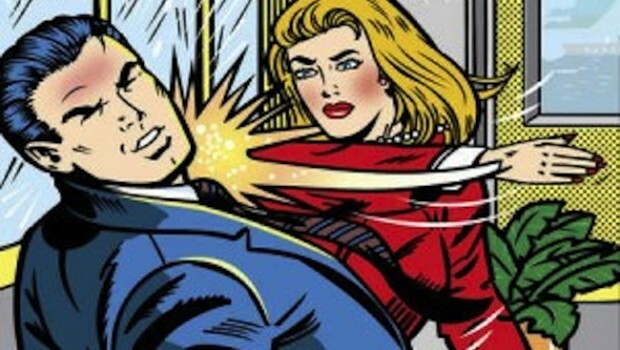 Is losing eternal life worth the risk of avenging some injustice suffered – a slap – an insult? Happy New Year bothers and sisters! May you have a a blessed and wonderful New Year – May our precious Creator be blessed in all of your deeds and actions, may the Messiah be at the forefront of your thoughts, and may the Holy Spirit be your guide in loving your neighbor in ways that are honoring to Adonai and His name! This entry was posted in Living life Even if . . . and tagged doormat, Love your neighbor, yetzer ra. Bookmark the permalink. 2 Responses to 2014: Are Believers Supposed to be DOORMATS?!? Besides the obvious “heart check” this article has made me go through……there’s something else………the part where you reminded me about how horrible and evil people must have been during Noah’s time that He destroyed them all……………I think today’s world is full of evil and it is but I think we must have further to go before He will come back and every knee will bow…………but who knows……….. Thanks 🙂 Everything comes back to our heart towards the Creator . . .